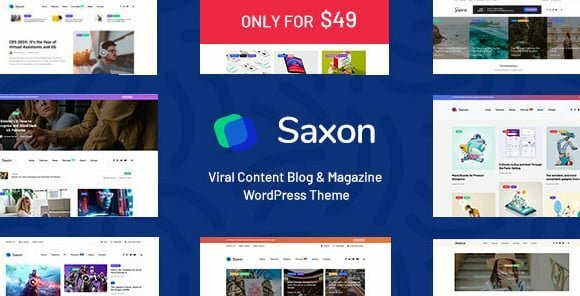 Buy Saxon 1.5.3 - Viral Content Blog & Magazine WordPress Theme or download for FREE by subscribing to our VIP Membership Plan. Join the club of more than 1100+ happy members. Saxon theme is an extremely fast (up to 100/100 Google Page Speed Score – RUN TEST), aesthetic, clean, modern and very flexible WordPress Blogging Theme designed especially for bloggers. 26 Homepage Blocks with different options and styles (Posts blocks, Sliders, Content blocks, Instagram, Subscribe, Categories and more). Assign your posts to different groups and show them in different theme blocks on the homepage! I made the purchase without any problem. Already got update of the new version. The theme is incredible. I recommend!